Private equity firm The Riverside Co. acquired The Dwyer Group from TZP Group. It’s the second time Riverside has owned the Waco, Texas-based parent company of landscape maintenance franchisor The Grounds Guys. Riverside first purchased The Dwyer Group in 2003, taking the company private. After seven years, the firm sold The Dwyer Group to another private equity investor, TZP Group, in 2010. 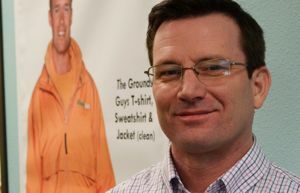 Chris Elmore, president of The Grounds Guys, emphasized that it’s rare for a private equity firm to sell and buy back the same company. For franchise owners at The Grounds Guys, changes should be minimal, Elmore said. The Grounds Guys, with $18.2 million in 2013 annual revenue, has grown rapidly since it was founded as a franchise in 2010 in the U.S. It has ranked as the fastest growing company on the Landscape Management LM150 list in both 2013 and 2014. He said much of the franchise systems’ expansion is due to entering the market at the right time. Future growth will come in untapped markets, such as Phoenix and Tucson, and regions that can handle multiple The Grounds Guys franchises but currently only have one or two locations, such as Chicago. Elmore noted there are only three locations in California.